The upcoming meeting between Pope Francis and Russian Patriarch Kirill will not only be a historic religious event, but could also have major benefits to Christians around the world, the French newspaper Le Journal du Dimanche reported. "It's important to join efforts [with Russia] to save Christianity in all regions [of the world] where it's oppressed," Russia's Metropolitan Hilarion said*. With the help of Putin, Pope Francis hopes to reach out to Syrian President Bashar al-Assad, Iranian leader Hassan Rouhani and even the Chinese government elite and work out a plan to help Christians in these regions. In regards to China, Francis said he hopes to establish political contact between Beijing and Vatican since the two parties have never had official diplomatic relations, the French newspaper said. 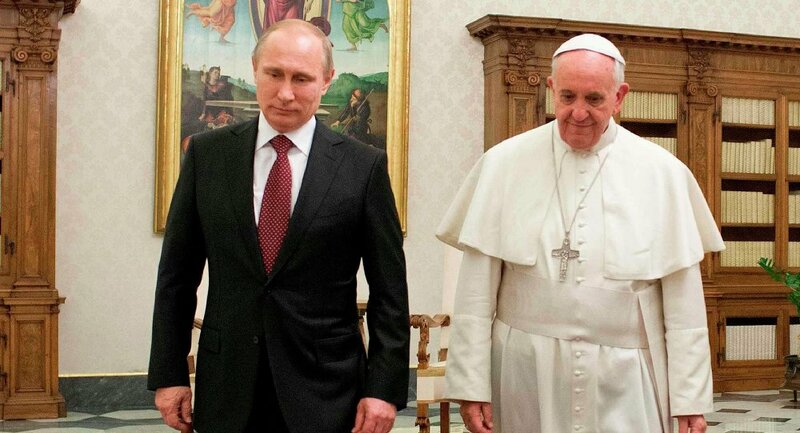 On February 12, Pope Francis will meet Russian Patriarch Kirill. The high-profile meeting will start a rapprochement between the Catholic and the Orthodox Churches after the 1054 Schism. The two churches split in 1054 — in what is often called the "Great Schism" — following protracted disputes over Rome's supremacy over the whole Christian community, which compounded more strict theological disagreements. The meeting will take place in Cuba, at Havana's airport, where Francis and Kirill will talk and eventually sign a joint statement. *EDITORIAL: An earlier version of this article incorrectly attributed the quote from Le Journal Du Dimanche.